The Glossy has us on a Fashion Treasure Hunt, desperately seeking these fashion comics by Mark Vassallo. The style director of Harper&apos;s Bazaar Australia took images from the Spring &apos;07 runways and somehow turned them into a haute adventure. In Mark&apos;s neon blonde world, Prada turbans talk, Sasha becomes a possessed lipstick monster, and John Galliano gathers his evil minions together to give "the death stare" at the end of every runway. 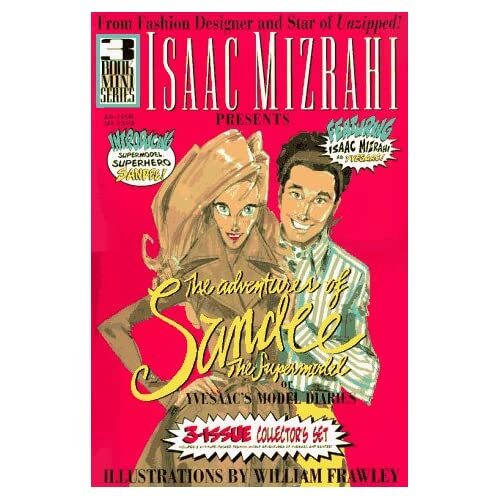 It&apos;s a kick - and quite reminiscent of Isaac Mizrahi&apos;s book from the &apos;90s, The Adventures of Sandi the Supermodel. You can find that comic on Amazon, but these new ones are tough to track down: Supposedly there are copies at Colette in Paris, Loveless in Tokyo, and Corner Store in Sydney. Do you know how to get them in the States? Style World Says, "MySpace or Yours?"